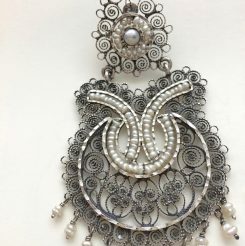 Tita Rubli Mexican Jewellery – Page 4 – Hand made Mexican Jewellery. 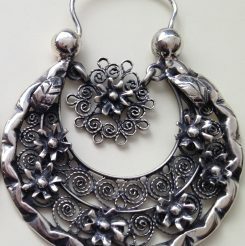 We especialice in Traditional silver jewellery . 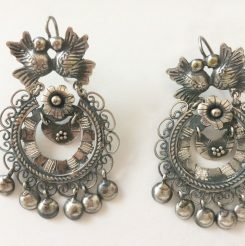 Frida style earrings, Lovebirds, flower and leaves. STERLING SILVER. 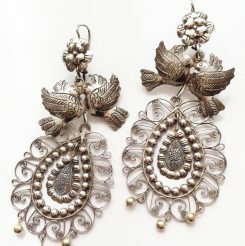 LOVEBIRDS FLOWER LEAVES & FILIGREE. 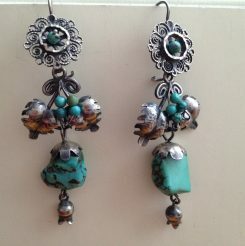 Beautiful turquoise earrings with silver leaves. Turquoise on bottom may vary. 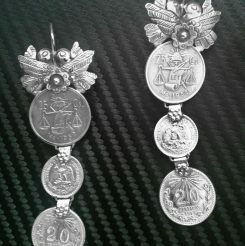 These earrings are just great, they have three different coins from Mexico. Lovebirds on tip are kissing, which means the lady who wears them is engaged or married. I have included a small flower made in repoussé technique. All our jewelLEry is securely finished with shepherd’s hooks for pierced ears. 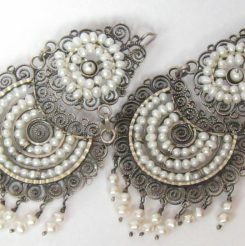 These are large for women who like dramatic style. 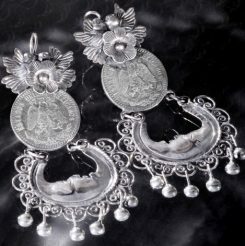 These are a perfect gift for a newly wed. Lovebirds means passion between the couple, silver coin means wiishes for good fotune and the moon covered by filigree, are the earth. 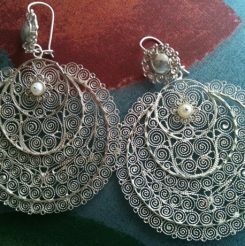 These wedding earrings are from Oaxaca. 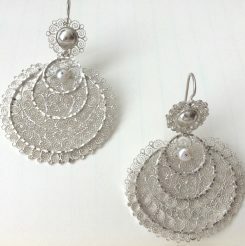 They are very nice and look lovely on a bride. They are 8 cm long. 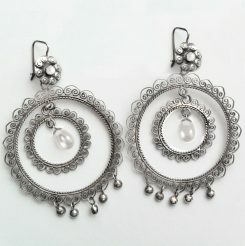 On top you can find a delicate filigree flower with a colored bead, that can also be a pearl or your favorite color. 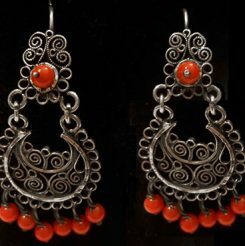 They have a bow in the middle and are completed with two beautiful coral beads surrounded by an oval also with filigree. 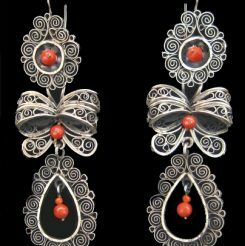 Some differences might appear, all earrings are guaranteed. Sterling silver 925 made by hand.